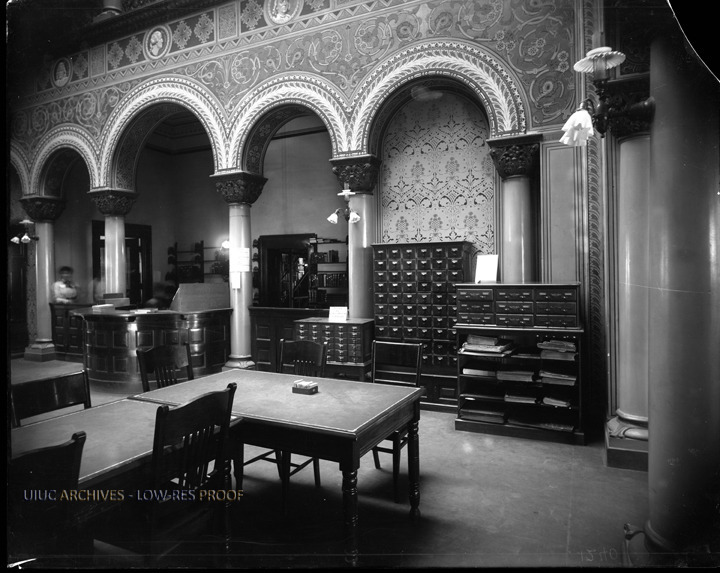 In September 1897 the first dedicated library building, now known as Altgeld Hall, opened with the first professionally trained librarian of the university as its head and the first dedicated reference librarian on its staff. There were two reading rooms in the library, with the west room containing reference books and seating for eighty people. During this period, the librarians gave reference help in-person as well as through correspondence. In-person requests were most often from undergraduates, but also came from graduate students, faculty and staff, visiting scholars, and local residents, including high school students. 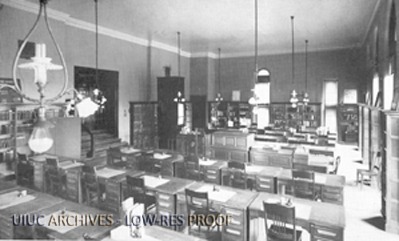 The library received correspondence questions from locations in Illinois as well as from other states and countries and from a range of organizations and individuals including other libraries, government organizations, other university students, school-age students, business firms, and women’s clubs. 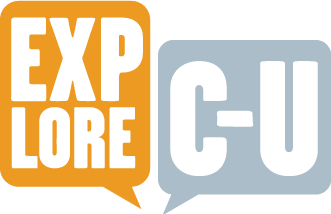 These correspondence questions could involve creating a bibliography to send to the patron, requests for specific information, or loaning materials on a particular subject. The early reference department frequently created reference lists, or bibliographies, on particular subjects in response to correspondence questions and other requests. At a time when there were few published bibliographies and many topics did not have entire books dedicated to them, these lists would be saved and filed alphabetically by subject so that they could be referred to again later. Many of the lists that the department created were for college debate teams and local women’s clubs. In the summer of 1916, the library began a practice of placing useful materials, such as railway literature, on a table in the west room for the benefit of travelers. This “vacation collection” was popular with both students and faculty and became a long-standing summer tradition for the department. Answering reference questions by phone was first mentioned in a report from 1907-08, when there was only a phone in the librarian’s office. Phone requests during this period often came from university offices, and the phone was also used for communication with the departmental libraries. Members of the reference department also taught the first general introductory course for undergraduates on using libraries in the country, known for most of its history as Library Science 12. Sarah Hoover and Caitlin Crane, “Reference Services at the University of Illinois Library: 1897-1926 (The Library at Altgeld Hall),” ExploreCU, accessed April 20, 2019, https://explorecu.org/items/show/321. Thompson, Madeline Cord. 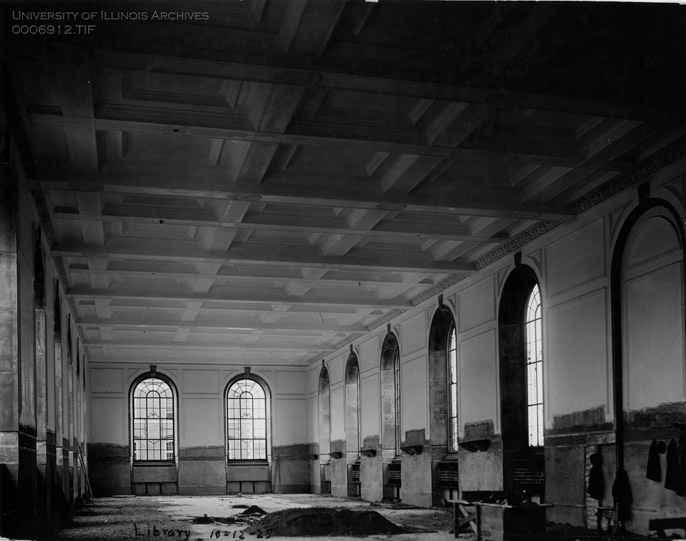 "History of the reference department of the University of Illinois Library." MS thesis, University of Illinois at Urbana-Champaign, 1942. Library Annual Reports, "Reference Department," Record Series 35/1/801, University of Illinois Archives. "Reports—Reference 1907-1911," Record Series 35/1/7, University of Illinois Archives.